Here they are, right out of Lewis Carroll's classic Alice In Wonderland. 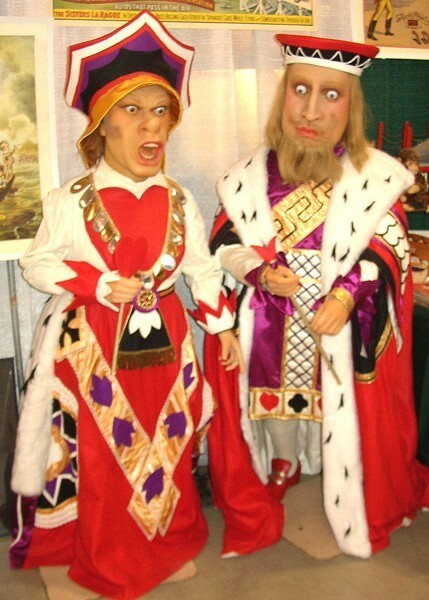 The Queen & King of Hearts are outrageous. Their hands and oversized heads are made out of wax. Their clothing is in good condition. These 2 figures would make an amazing addition to any collection.